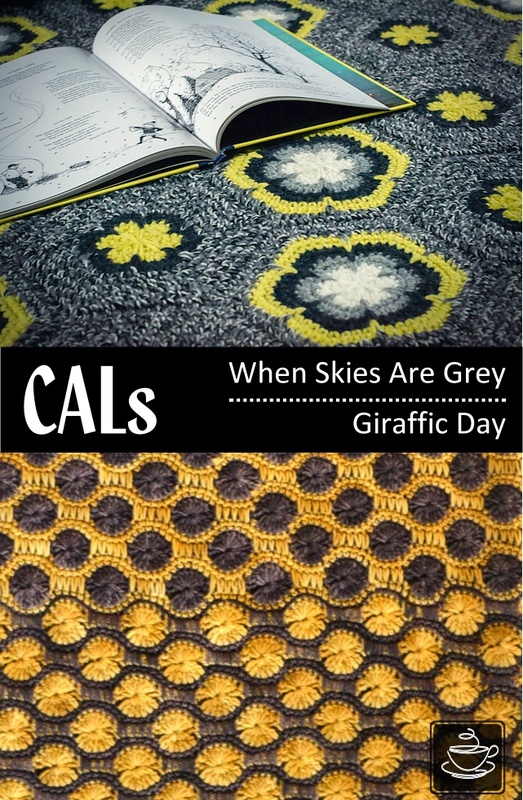 We have got two CALs running in the "Cup of Stitches" group on Ravelry! Both are bright and colorful and will cheer you up during these last winter days. 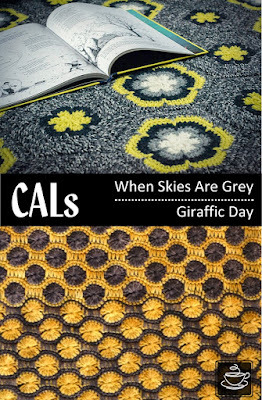 When Skies Are Grey is a motif rug by Yuliya (more details here) and Giraffic Day is a polka dots cowl by Lena (more details here). Both designs make use of spike single crochet stitches. Here is a tutorial, if you are not familiar with these stitches yet. Everyone who finish their project before March 2, 2015, will receive a gift coupon code for a pattern from either of our stores (Lena's or Yuliya's). It's gorgeous! I really love the colors!